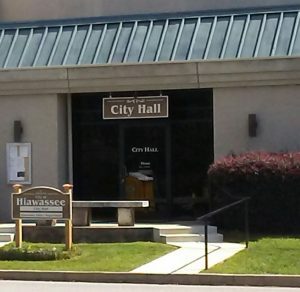 HIAWASSEE, Ga. – Hiawassee Council is scheduled to hold the first reading of the city’s sign ordinance amendment at their monthly work session, Monday, Jan. 28. The council is currently in the process of refining the mandate. While numerous topics related to the ordinance are in discussion, of particular note is the definition of what constitutes a temporary sign, regulations regarding banners, and the amount of “yard sign” advertising a business will be permitted. Although tentative, the terms applied to a temporary sign are listed as any sign or device not permanently attached to the ground or other permanent structure designed to be mobile or to remain in place for a limited time. This includes, but is not limited to, signs designed to be transported regularly from one location to another, signs designed with wheels, regardless of whether the wheels remain attached to the sign, or signs tethered to an existing structure. Animated, digital, and billboard signage are expected to be prohibited. During a recent council meeting, the issue of whether the city’s current animated signs would be subject to the decree if a business was purchased by new owners. It was stated that the sign in question would be considered a part of the property and would not fall under the revised regulation. The proposed permit fee is written at $5.00 per square foot. The sign ordinance draft concludes as follows. The mandate is expected to reach its final reading and adoption at the council’s regular monthly meeting Feb. 5, 2019. 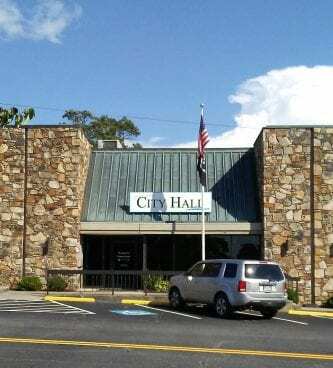 HIAWASSEE, Ga. – Hiawassee City Council conducted their monthly regular session on the evening of Tuesday, Dec. 4, approving several items discussed during the workshop meeting held the previous week. Several motions were unequivocally favored by the five council members with the exception of an ethics board committee member assignment. Council members Anne Mitchell and Patsy Owens preferred retainment of Susan Phillips, with Amy Barrett, Kris Berrong, and Nancy Noblet overriding the decision with a 3-2 vote in favor of Sue Scott. The joint ethics appointee, upon agreement of both city council and mayor, was granted to LaJean Turner. Hiawassee Mayor Liz Ordiales solely selected Leslie McPeak to remain on the ethics board committee. The three members were subsequently sworn-in at City Hall. Furthermore, the council agreed to extend the city’s sign permit moratorium for an additional 60-days, affording the elected officials ample time to review changes, if any, that should be made to the existing ordinance. Mayor Liz Ordiales listed a proposal on last week’s work agenda, petitioning council members to consider allowing a Main Street billboard owner to transform a dual-directional, double-tiered, static billboard into a digital, multi-message variant. Terry Poteete, the owner of the billboard in question, addressed the council upon referral of the mayor Nov. 26. Ordiales previously stated that her office was forced to deny the renovation request in February due to the current ordinance restrictions. Discussion on the particular billboard did not resume at Tuesday’s meeting, and it is unknown at the time of publication whether the seemingly council-contested topic will reoccur. In addition, Mayor Ordiales relayed that the City of Hiawassee ordinance listings are now available online through the city’s website.. “Every single ordinance we have is there,” Ordiales said. According to the mayor, the process of transferring the extensive data took approximately two years to complete. Follow FYN for upcoming information regarding the University of Georgia-Carl Vinson Institute’s five-year plan for Hiawassee’s future, revealed in a town hall meeting following the adjournment of last night’s council session. Fetch Your News is a hyper local news outlet, attracting more than 300,000 page views and 3.5 million impressions per month in Towns, Dawson, Lumpkin, White, Fannin, Gilmer, Pickens, Union, and Murray counties, as well as Cherokee County in N.C. – FYNTV attracts approximately 15,000 viewers per week, reaching between 15,000 to 60,000 per week on our Facebook page. HIAWASSEE, Ga. – Weeks after a 45-day sign permit moratorium was enacted in Hiawassee, Mayor Liz Ordiales proposed the notion of allowing a digital LED billboard to be erected within the city limits. The multi-message sign would flash advertising promotions at eight-second intervals, intended for installation near the intersection of Main Street and Bell Creek Road. The early November decision to temporarily halt permits within the city followed an amended ordinance by Towns County Commissioner Cliff Bradshaw, banning additional billboards from entering the area. 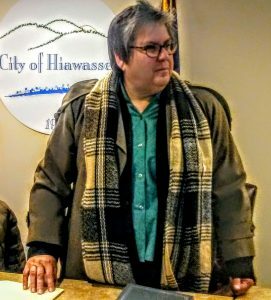 On Oct. 29, Mayor Ordiales stated during the city’s work session, “It doesn’t make sense for the county to do one thing and (the city) to do another,” suggesting that Hiawassee would review the current sign mandate, inferring potential revision of the ordinance to coincide with county regulations. The mayor’s proposal to permit a multi-message, digital billboard, however, is in direct contrast with the county’s mandate. Towns County strictly prohibits the signage in question, as does the City of Hiawassee ordinance, which is currently in effect. Upon invitation by Ordiales, Terry Poteete – a Gwinnett County resident with Affordable Outdoor Advertising Solutions, and the owner of 85 billboards strewn throughout seven counties, including the 55-foot tall, four-faced billboard located across from McDonalds in Hiawassee – addressed the full council during Monday’s work session. Ordiales divulged that Poteete had broached replacement of the static billboard with a digital version in February, though due to the current ordinance restriction, the request was denied. Poteete purchased the existing billboards in 2012. The possibility of removing exisiting billboards to allow for the digital version was mentioned by Hiawassee City Attorney Thomas Mitchell. According to Mitchell, the Department of Transportation (DOT) guidelines list that digital billboards must be spaced further than 5000-feet apart in distance. State law allows for a second digital sign to be installed on the opposite side of the street, however. Hiawassee City Council expressed conflicting opinions on the matter, with Nancy Noblet clearly favoring the idea from the councilwoman’s subjective standpoint. Anne Mitchell and Amy Barrett voiced sturdy opposition, with Barrett stating that digital billboards “degrade the integrity of the mountains.” True to form, council members Kris Berrong and Patsy Owens remained relatively silent on the issue. A Town Hall meeting was suggested by Hiawassee City Council, aimed to gain additional resident input prior to taking the matter to vote, with no known date scheduled at the time of publication. 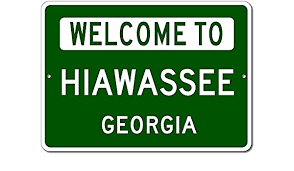 HIAWASSEE, Ga. – Towns County Sole Commissioner Cliff Bradshaw held a special-called meeting on the morning of Monday, Oct.29, to finalize the adoption on the sign ordinance amendment. The billboard mandate has been in the process of revision since July, with a 90-day moratorium enacted on the issuance of sign permits, following a steep influx of requests from out-of-area advertisers. Over the course of the past several months, Bradshaw consulted with the Towns County Planning Commission and Towns County Attorney Robb Kiker, seeking ample input from community business owners and county residents on the issue. Polls were distributed which revealed overwhelming public support to prohibit excess signage from occupying area lands. The resolution allows for one on-premises sign per business lot, and one off-premises sign per private land parcel. On-premises signs are limited to 75 square feet in size, with off-premises signs not to exceed 32 square feet. A telecommunications ordinance was additionally adopted at Monday’s meeting, limiting the size and placement of cellular towers within Towns County. The mandates, in their entirety, are available at the Commissioner’s Office in the Towns County Courthouse. Fetch Your News is a hyper local news outlet that attracts over 300,000 page views and 3.5 million impressions per month in Towns, Dawson, Lumpkin, White, Fannin, Gilmer, Pickens, Union, and Murray counties, as well as Cherokee County in N.C. – FYNTV attracts approximately 15,000 viewers per week and reaches between 15,000 to 60,000 per week on our Facebook page. « Previous Article The Great Awakening, You Can Look It Up! 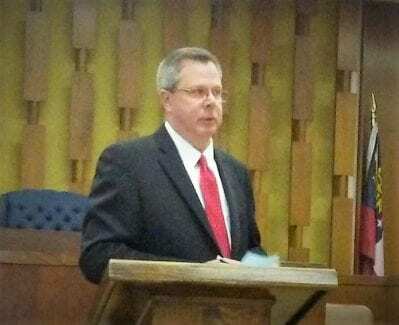 HIAWASSEE, Ga. – Towns County’s billboard permit moratorium has been in effect for three months, and Towns County Commissioner Cliff Bradshaw stated on Tuesday, Oct. 16, that the mandate revision had reached the first reading. Bradshaw extended polls to area businesses, residents, and students during the course of the past month, seeking citizen input on the matter. The overwhelming majority of polled participants desired no additional billboards to be erected in Towns County. 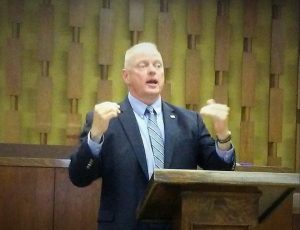 Towns County Attorney Robb Kiker attended the monthly county meeting, and spoke on the ordinance amendments. On-premises signs will be limited to a single sign per track of land, 75 square feet per face in dimension. Off-premises signs, an important aspect for businesses located off the beaten path, will be limited to one sign per single parcel of land, restricted to 32 square feet per side. There is no limit to the number of off-premises signs, although one sign per parcel will be enforced. In addition to the billboard mandate, a cellular tower ordinance in the process of formation, regulating the areas where the structures can be located. There is currently not a decree in existence, which limitss the county government from influencing where cell towers are constructed. Bradshaw’s concern is that the placement of towers could potentially obstruct or dampen the view for area residents, dependent upon placement. Safety measures will be included in the mandate, prohibiting telecommunication towers near schools and daycares, in the event that the tower collapses. The process of cellular tower installation consists of filing an application, along with a $1,500 fee for a study to be conducted by experts. Towns County Planning Commission would discuss the matter, allowing public comment, before moving to vote on the issue. As with the sign ordinance, the commissioner holds the final say on the decision. The second reading of the billboard amendments, and the resolution to regulate cellular towers, are expected to be held in the near future, prior to November’s regularly scheduled county session. FYN will announce the date and time of the meeting once it has been determined. HIAWASSEE, Ga. – Towns County Sole Commissioner Cliff Bradshaw held a called meeting on the morning of Friday, Sept. 28, to extend the current 90-day moratorium for an additional 30-days. The initial moratorium was scheduled to expire on Oct. 15, with the extension running until Nov. 15, 2018. The decision to lengthen the freeze on signage permits is due to a need for further time to consult with Towns County Attorney Robb Kiker, Towns County Planning Commission, and the public to seek input on the mandate revision. Commissioner Bradshaw distributed polls throughout the business community, attached to printed information on the adverse effects of billboards to local economies, asking citizens whether billboards should be permanately banned, distanced 2500 feet, one mile, or two miles apart on Highway 76 in Towns County. Although the poll is in the early stage of circulation, the overwhelming majority of participants stated they do not want additional billboards to exist in the county whatsoever. While Bradshaw adamantly claims to be a staunch supporter of businesses, the commissioner believes a surplus of signage would hinder rather than help. “We work for the public and when the public speaks, that’s what we do,” Bradshaw said, maintaining that too much “sign clutter” would dampen tourism and the general local economy. Bradshaw plans to offer additional polls to attendees at the upcoming Towns County Historical Society. Residents and business owners are invited to request a copy of the public poll at the Towns County Courthouse.